Any spa in a beautiful setting gets to work before treatments even begin, as you arrive relaxed and ready. The Wickaninnish Inn sits on the most western coast of Vancouver Island. 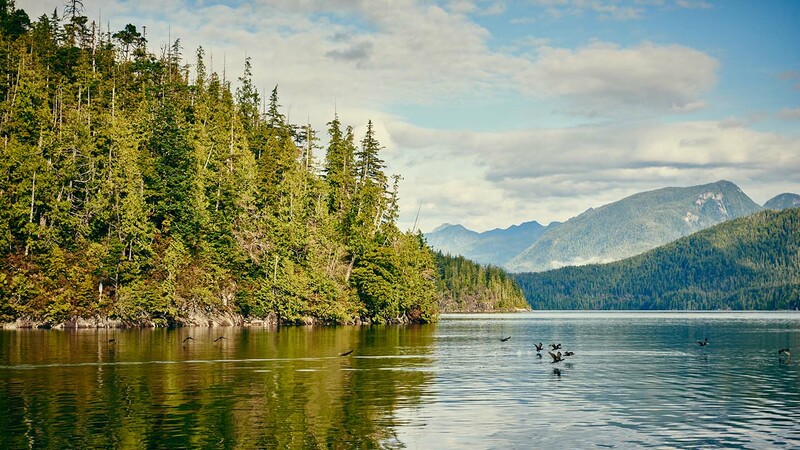 To get there involves a ferry ride from Vancouver, and a long drive through the mountains. You just keep going until you reach the sea, then turn right. The drive itself fills up your senses. Blue-black mountains are dusted with an icing sugar coating of snow. Douglas Fir and Cedar trees coat the slopes with shades of deep green. Rivers of icy pale blue water rush down to fill up huge lakes of deep indigo. You cannot help but stop and breathe in the colours, the scale of everything and the clear mountain air. So how can a spa compete with the glories of nature? Well the Ancient Cedars Spa doesn’t really try. It just takes all that lovely nature and adds to it with black slate floors, wooden lockers and plenty of fluffy white robes and towels. 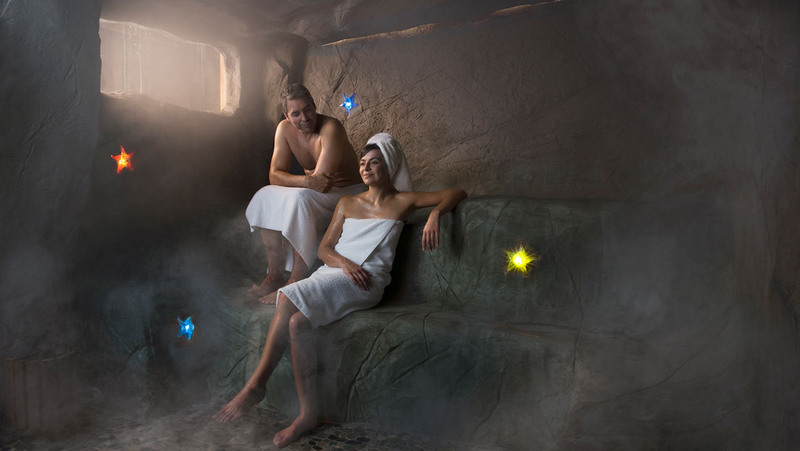 The steam room is a ‘cave’, while the spa patio sits on the beach where the ocean rolls in. Our dual treatment begins with a warm foot soak in copper tubs, complete with marbles to roll under our feet. While our feet soak in the warm water, we are offered a smell test to choose the right oils. Most oils are made locally on the island. I can’t quite decide between uplifting orange and grapefruit (my usual go-to choice) and a lovely neroli, jasmine and rosemary combination, so my therapist offers to blend the two together. My spa partner doesn’t hesitate and opts for cedar oil. He will smell gently of trees for the rest of the day! Maybe he was an Ent in an earlier life. We climb up wooden steps to reach the log cabin for our dual treatment. Melissa and Maggie, our therapists settle us on warm and comfortable beds, then open the doors to let in the sound of the ocean. 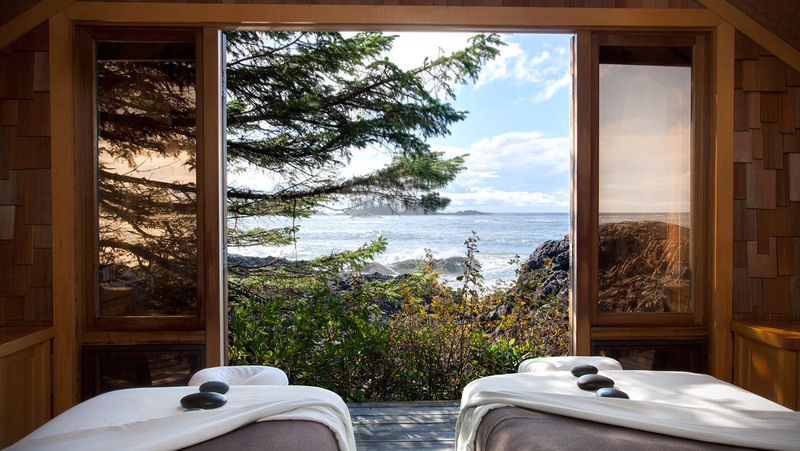 Our massages are accompanied by the sound of waves that have travelled miles across the Pacific from Japan, and the gentle calling of birds in the old growth rainforest that covers most of the island. If there is such a thing as a perfect massage, this must be it. Maggie begins with some Thai style movements to align the body, and then runs her hands over the sheet to assess areas of tension. Only then does she uncover each area as needed for the massage. The combination of oils works well and the actual massage is careful and detailed. In my most tense areas, Maggie simply holds her hands on the tight muscles for a while until they begin to relax and then starts to work them. It takes skill and patience to wait and sense when is the right time. I know I am in capable hands. The massage finishes an hour and a half later and it’s still too soon. I want simply to stay there feeling safe and secure, my muscles melted and relaxed. We don’t have far to go, just down to the patio where we can sit and rest in the shade of the trees. Its a long way to go for a massage of course but a Spa Spy is never off duty, even when on holiday. And there are places where you can have a back-to-nature style massage in the UK, or listen to the sea. 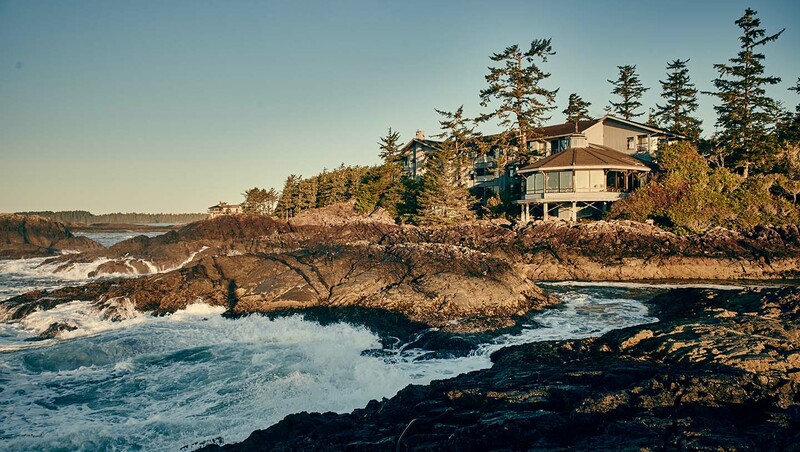 The Wickaninnish Inn is near the village of Tofino on Vancouver Island in Canada. For a back to nature style masage in the UK head to Aqua Sana Sherwood Forest and you can listen to the sea at The Scarlet Spa or Carbis Bay Hotel and Spa.